School break coming up? Winter and spring break can be stressful to many parents, not having a break themselves and not having anywhere for their kids stay during the day. 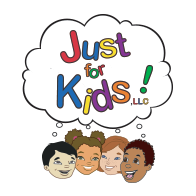 Just For Kids provides child care services for winter and spring break for that very reason! If you are looking for something fun for your kids to get to do during the break, look no further! Just For Kids has all the fun any child could ever want to have. Days packed with arts and crafts, field trips, classes, and more, we ensure that there is no time to be bored this break! When your child has no school and you want to know that they are going to be safe, you can count on our child care center. Our certified teachers and staff are more than qualified to look after your child and not only fill their day with fun, but make certain that they are well taken care of. During winter break, we are closed on Christmas eve and Christmas day, as well as New Year’s eve and New Year’s day. We are available all of spring break and teacher institution days as well as other holidays. We know how hard it may be to find the day care that you need for your child during breaks and days off. Our goal at Just For Kids is to provide just that. While at our child care center, your child will receive nutritious meals including breakfast, lunch, and supper as well as snacks. We take them on field trips, provide open gym time, as well as game rooms and classes they can take. Our weekly day clubs include cheerleading, jump rope, team sports, Spanish, scrapbooking and more! Call us to find out what your child can do while on their school break! Give them the fun they have been looking for.